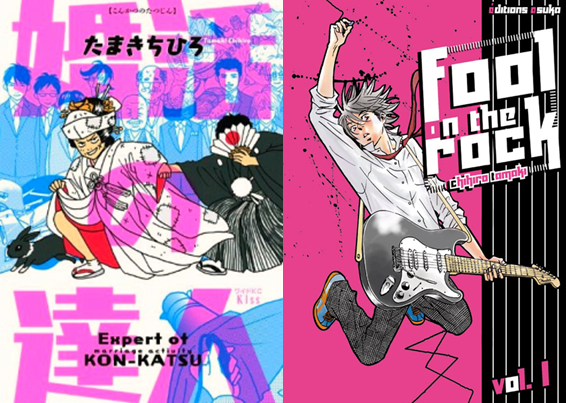 Previously, I have written about Josei manga and how there seemed to be no real push for them to ever reach US soil. A title I brought up before was the efforts of now-defunct Aurora Publishing, their almost complete release of the 2005 manga Walkin’ Butterfly, whose fourth and final volume was close but not close enough to get a physical release; leaving me just one volume short. But as luck would have it, the almost two year old digital manga publisher JManga decided to publish Walkin’ Butterfly in its entirety. So not only do I get to finally cover Walkin’ Butterfly in its entirety, but I get a blank check to discuss JManga a little. Weird how things like this just correlate, you know? Walkin’ Butterfly was made by Chihiro Tamaki, who while prolific with other titles like Konkatsu no Tatsujin and Fool on the Rock, has seen nothing besides what I am covering released over here. There is even a Walkin’ Butterfly live action, but in the same way that they did not spring for dying the casts hair specific colors in the Princess Princess live action Princes Princess D, so does the live action Walkin’ Butterfly not feature an actual blonde protagonist. Nineteen year old Michiko Torayasu’s love of Harley’s and motorcycles in general has her working post high school as a mechanic. But after an altercation with some customers who made comments about her height, she freaks out and throws their ride back to them, ending with being fired. See, Michiko is a smiley still growing girl far overreaching 6 feet whose complex towards her height is as large as she is. Coming to its apex in high school where boys did not want to date her because she was taller than them, she has hated the body that she has and this leads to obvious self-confidence issues. An ex-delinquent at heart, her life is in aimless limbo where most of it revolves around having confused feelings for her childhood friend Kenichirou Nishikino; that is until she discovers a plus to her height in the form of modeling. While delivering a pizza at a fashion show (those motorcycle riding skills do come in handy for delivery purposes), she is quickly mistaken for a model because she fits in with all of the super tall models and is thrown out on stage. Thinking that the task would be as simple as walking and posing, Michiko forgets that she is being viewed and judged by people’s eyes, jabbing at her personal low self-esteem. She runs off stage, as smug but serious business fashion designer Kou Mihara scoffs at her, proclaiming that he knew she was not actually a model and that she could never be with a complex so great. This angers Michiko greatly, and in a journey akin to a Shounen fighting story, she sets off to better herself by becoming a great model to feature in Mihara’s shows and prove him wrong. With the help of some lucky connects and the past famous model, the booze hound Ryo Tago, Michiko will have to face her fears and ability to easily give up and succeed in her new life as a model. If I was to compare Michiko to a type of character found in other types of manga, it would be of the Shonen Fighting variety. Michiko head strong and boyish nature turn her rivalry with Mihara into a battle of fish clenching, posturing, and proclaiming one’s superiority. Even in the way Ryo Tago trains Michiko to perform the perfect walk (a feature she herself mastered to perfection during her younger days) and how posture, centers around sitting under waterfalls and washing wooden floors in a dojo. There is just this boyish energy that flows through it all that makes Michiko such a cool character; yet in a way that I hate to say it, but maybe since she acts like such a dude makes her suggest an attractive (in the character sense and physical sense) lead to follow. I feel the need to write about the translation, for it seemed that the fourth volume was actually complete since it has the same font choice as the rest of Walkin’ Butterfly. With a hideous font being over used for thought bubbles, It appears that volume four had been fully translated, but never printed. Not to reference other examples of typesetting that is far worse or anything, just that it is so janky it was distracting. Another problem was the lack of cultural notes. Chihiro Tamaki has a thing for visual gags, where for instance Michiko will show frustration or sadness by turning into either Osamu Tezuka’s Hyotantsugi Gourdski or Joe from Ashita no Joe. The problem is that not everyone reading this will have the manga knowledge level to catch these references, so not noting them seems both lazy and unbeneficial to potential readers. They also do something extremely off-putting which is ending almost every sentence in “…” to denote sentence connection; ellipses do not need to be implemented so often, a problem Yen Press translation suffers with greatly. Pros: An effective story about one woman’s struggle to stand up for herself and discover what she has to offer the world. Likable characters that is just awesome to view, like Tago and her cranky been-there-done-that professionalism. Chihiko Tamaki’s gorgeous character designs, with hair that seems to have originated from use of a sharp ballpoint pen, are this manga’s highest visual merit. Cons: The lettering and lack of cultural notes are unfortunate drawbacks. While her character designs are to die for, when you forget and then remember the artistic shorthand of obviously digitally inserted screen tones and plaid shading for clothing, it just becomes distracting. 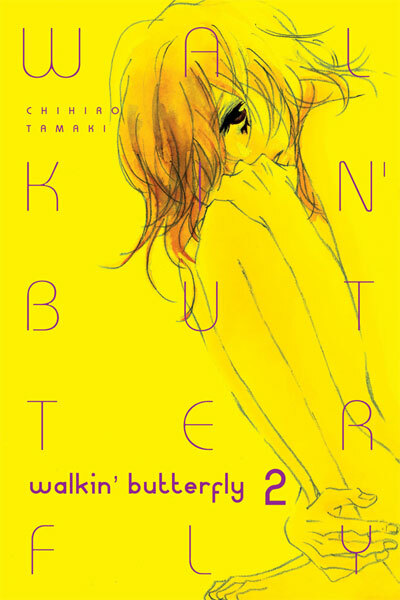 As stated earlier, Aurora Publishing tried to release Walkin’ Butterfly, and since their editions are super hard to find, I just suggest buying it on JManga. Now there is an interview with Chihiko Tamaki herself at the end of the first volume, and I do not know if that was carried over to the JManga release; just felt like mentioning it. I always say that I want to see more of two things, more state side definitive Josei manga, and stronger female lead characters. I know that it is a crutch of female character writing to just portray them simplify as a man with a bouncier chest, but Michiko has a definitive femininity underneath all that Harley grease and smoke that makes her far deeper than first seen. 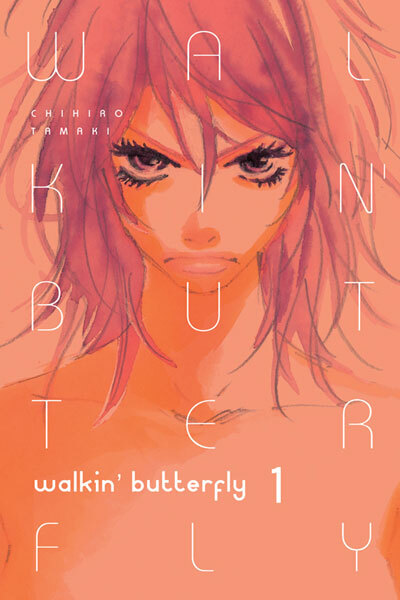 Those looking for an introduction to either Josei or just wanting to follow a strong female lead should check out Walkin’ Butterfly.